Academic freedom protects scholars who report inconvenient truths from the uninformed, but, as Adnan Zuberi reminds us, academic freedom is also the responsibility of scholars to pursue the truth. 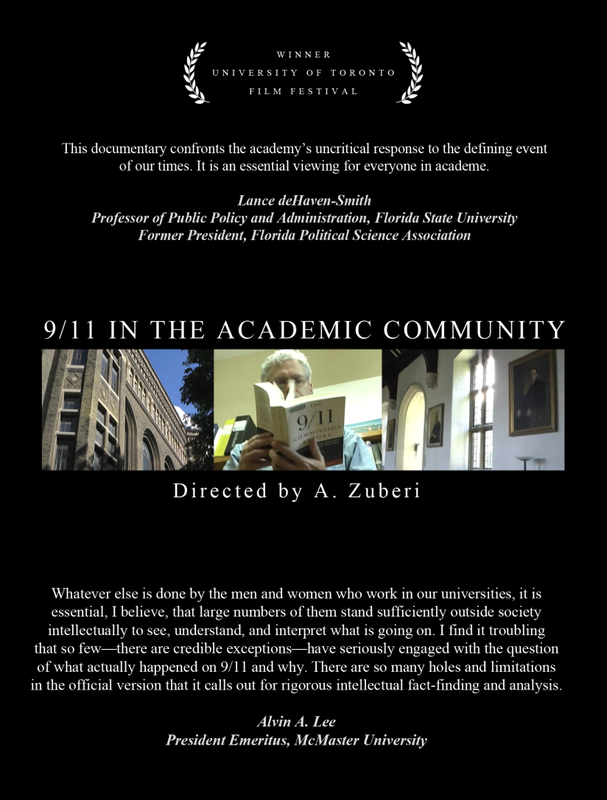 Coming this fall, “9/11 in the Academic Community,” a Winner of the University of Toronto Film Festival, is a unique film that documents academia’s treatment of critical perspectives on 9/11 by exploring the taboo that shields the American government’s narrative from scholarly examination. Through a powerful reflection on intellectual courage and the purpose of academia, the film aims at changing intellectual discourse on 9/11 and the War on Terror. defining event of our times. It is an essential viewing for everyone in academe.